In the past, Sunny Isles Beach was a good vacation destination. It was a strip of beach filled with bright and colorful motels and families coming from all around the country to enjoy the beach and the ocean. As time wore on though, the motels fell out of use. People still loved the beach, but they wanted something new. Architects and builders saw the potential in the area and they helped to create the Sunny Isles Beach that we know and love today. 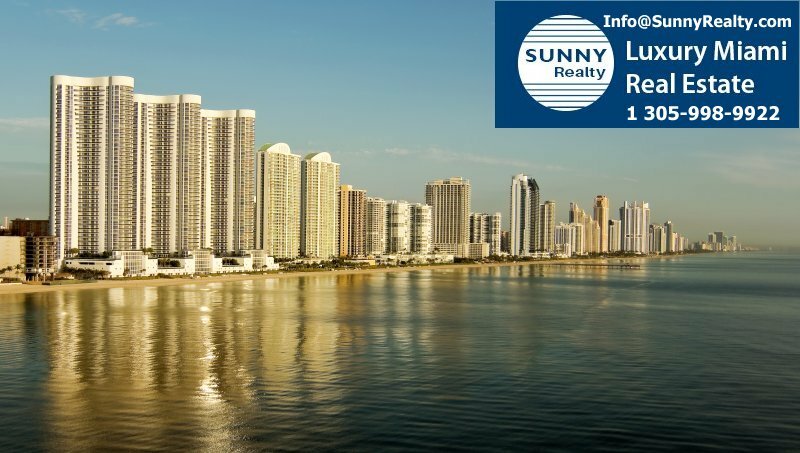 As the building boom started, more and more saw Sunny Isles Beach as the perfect area to start building. This was especially true after Miami Beach started to get crowded. 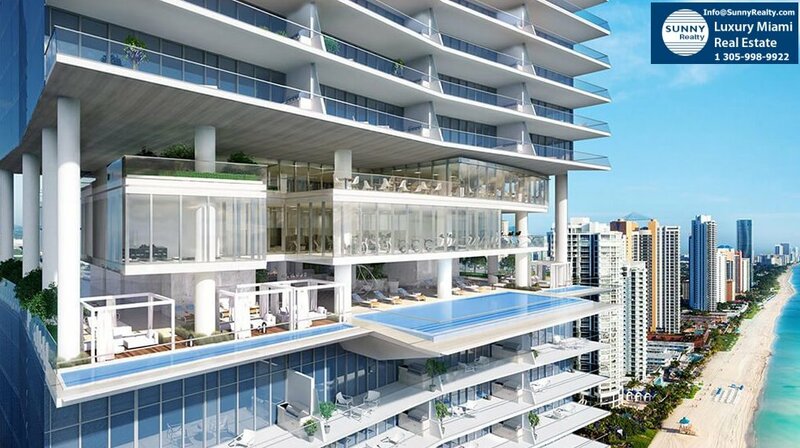 Once the building started in Sunny Isles Beach, the price per square foot started to rise. In fact, over the course of the last four years or so, it has risen by about 55% and it’s still going strong. Today, it is a place for the wealthy, for those who are making more than $200,000 a year and who like the idea of living in true luxury. When you start to look at the various options available, you will find that the buildings today have more amenities than ever before, and they are starting to become just as important as the residence spaces. Many of the condo complexes that have been built and that have been remodeled in recent years have put much more of an emphasis on the idea of luxury amenities. Turnberry Ocean Club residences is a good example. They removed residences from floors 30 through 32 and provides amenities that encompass several levels and more than 72,000 square feet. The Sky Club includes an infinity edge swimming pool, spas, fitness centers indoors and outdoors, treatment rooms, a lounge, and even a treatment room for the pets. Some of the other features added to buildings in the Sunny Isles Beach area include game rooms, playrooms, stock trading lounges, board rooms, and meeting rooms. Residents of the aforementioned building will also have access to the Turnberry Isle Resort and Golf Club, which has restaurants, a marina, golf facilities, tennis facilities, and more. Porsche Design Tower is adding more space for amenities as well. They are adding a restaurant, a bar and lounge, a fitness room, ballroom, and more. Armani/Casa and plenty of other buildings in the area are putting a greater emphasis on the luxury amenities as well. Why Is Luxury So Important? When people are buying properties in Sunny Isles Beach, they are looking for more than just a place to call home. While they certainly want a nice place to live with plenty of features in the unit, they also want a building that’s truly special. This means they need to have the right luxury amenities. Why would they choose a building that doesn’t have these features when they could live in a building that can cater to their every desire? You will start to see more of these luxury features added, even if it means including fewer residences in the building. With havin so much written content do you ever run into any problems of plagorism or copyright violation? My website has a lot of unique content I’ve either written myself or outsourced but it appears a lot of it is popping it up all over the internet without my permission. Do you know any ways to help reduce content from being stolen? I’d definitely appreciate it. Some really nice and utilitarian information on this site, too I believe the style and design contains wonderful features. I’ve been surfing online more than three hours today, yet I by no means found any interesting article like yours. It?¦s beautiful price enough for me. In my opinion, if all website owners and bloggers made just right content material as you did, the web will probably be a lot more helpful than ever before. I’m impressed, I have to say. Actually not often do I encounter a blog that’s each educative and entertaining, and let me inform you, you have got hit the nail on the head. Your idea is outstanding; the issue is something that not enough persons are speaking intelligently about. I am very pleased that I stumbled throughout this in my search for one thing relating to this. Hey! This is my 1st comment here so I just wanted to give a quick shout out and say I genuinely enjoy reading through your blog posts. Can you suggest any other blogs/websites/forums that cover the same topics? Thanks a ton! Thanks, I have recently been searching for info about this subject for ages and yours is the greatest I have discovered so far. But, what concerning the conclusion? Are you positive concerning the supply? Appreciating the commitment you put into your blog and in depth information you offer. It’s good to come across a blog every once in a while that isn’t the same out of date rehashed material. Great read! I’ve saved your site and I’m adding your RSS feeds to my Google account. A formidable share, I just given this onto a colleague who was doing a bit of evaluation on this. And he in fact purchased me breakfast as a result of I discovered it for him.. smile. So let me reword that: Thnx for the treat! However yeah Thnkx for spending the time to discuss this, I feel strongly about it and love reading extra on this topic. If possible, as you change into experience, would you thoughts updating your blog with extra details? It is highly helpful for me. Huge thumb up for this blog publish!